Fall is my favorite time of year, in no small part because it is football season! Most of my family attended the same college in my home state of West Virginia, and are all pretty die-hard fans. We love to gather on Saturdays to watch the games, cheer on the gold and blue, and of course eat awesome game-day food! My husband is a chef and food truck owner, but myself, I’m not exactly known for my skills in the kitchen. However, there are times when inspiration strikes, and I think up and fun food idea that is EASY to do! We discovered Sandwich Bros Flatbread Pocket Sandwiches earlier this year when my oldest daughter headed back to school. None of us are what you would call “morning people,” so I’m always on the lookout for school morning hacks to get out the door quickly. This might seriously be the easiest game-day football appetizer you’ll ever make. 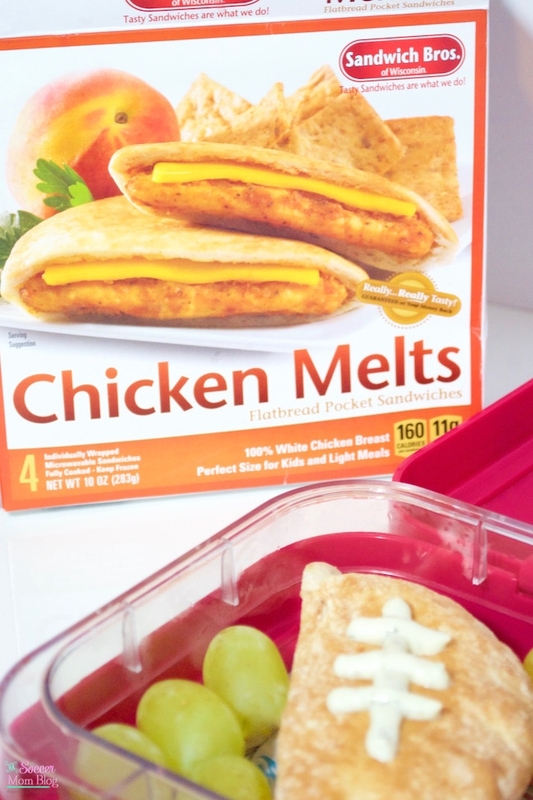 STEP ONE: Heat Sandwich Bros Flatbread Pocket Sandwiches in microwave for about 30-45 seconds. (Slightly less than the directions on the package). STEP TWO: Spread a thin layer of barbecue sauce to cover one side of each pocket sandwich. Broil in toaster oven for 2-3 minutes with sauce side facing up. For a darker brown color, you may repeat this step with a second layer of barbecue. STEP THREE: Allow sandwiches to cool and barbecue sauce to set. Next, draw the “laces” on your flatbread pocket “footballs” with your choice of condiment. I used my husband’s famous Chimichurri Mayo because it is out-of-this-world delicious, and it is white in color like the laces on a real football. To make chimichurri mayo, start with a small bowl of regular mayo and stir in chimichurri sauce until you’ve reached your desired taste. You can add as much or as little chimichurri as you’d like. Check out my husband’s chimichurri recipe here. You can also use ranch dressing, ketchup, sriracha, barbecue…you name it! 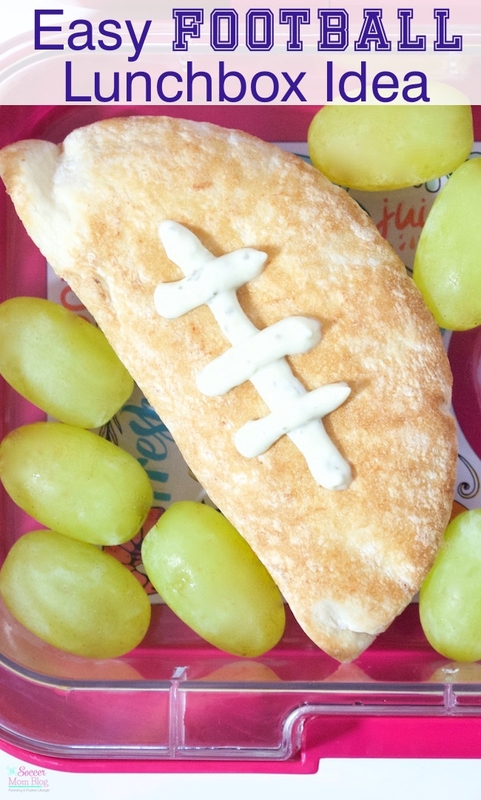 Another fun idea is to make these as a school lunch for your little football fan. I omitted the barbecue sauce because it might be a bit messy if the lunchbox is jostled in a backpack. I nestled the Sandwich Bros Flatbread Pocket Sandwich in some green grapes, like the football field.